Hey, what's wrong with eating Lucky Charms? Or Smurfs? Or unicorn charms? Now mind you, nobody could get me to eat a Jehovah's Witness for love nor money. .too grisly. JW's don't believe in "luck" hence Lucky Charms were seen as demonic, as were Smurphs who they had tales about them being possessed. Good info to know. I know a little about them as my ex had several in his family. 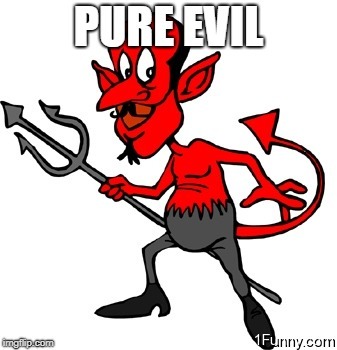 Also their magical powers were seen as demonic. 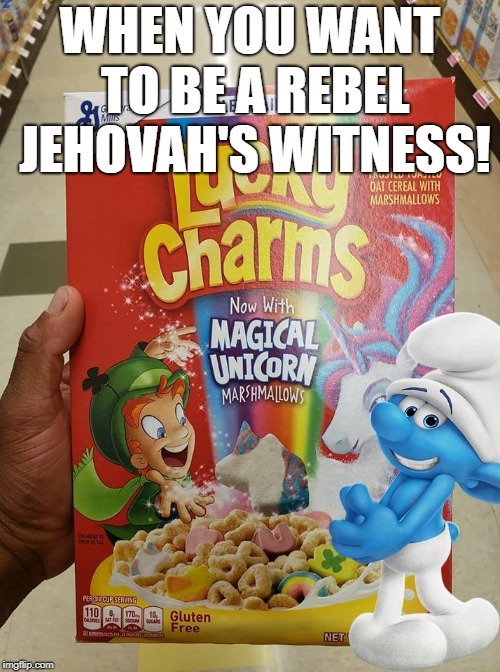 "Magically delicious..."
WHEN YOU WANT TO BE A REBEL JEHOVAH'S WITNESS!